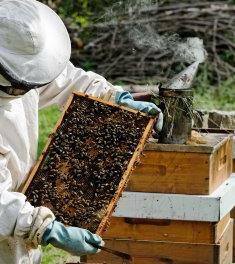 The latest BUZZ at Hale Farm & Village….BEEKEEPING! Every spring, Hale Farm & Village is buzzing with activity, welcoming school field trips and preparing the grounds for more visitors during the busy summer season. But “buzzing” is taking on a whole new meaning this year as the Hale Farm staff is bringing back to the farm an old form of entrepreneurship the Hales themselves practiced: beekeeping. It’s known from Hale family journals that hives were kept on the farm for pollination and production of honey. 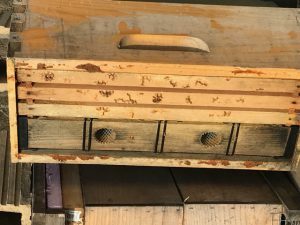 Among Hale family collection pieces is a bee box, used for bee lining, the practice of locating a wild hive by tracking a bee back to the bee tree. Since the historical connection to beekeeping is so strong, Hale Farm’s educators will include beekeeping as a permanent lesson in their youth education programs. 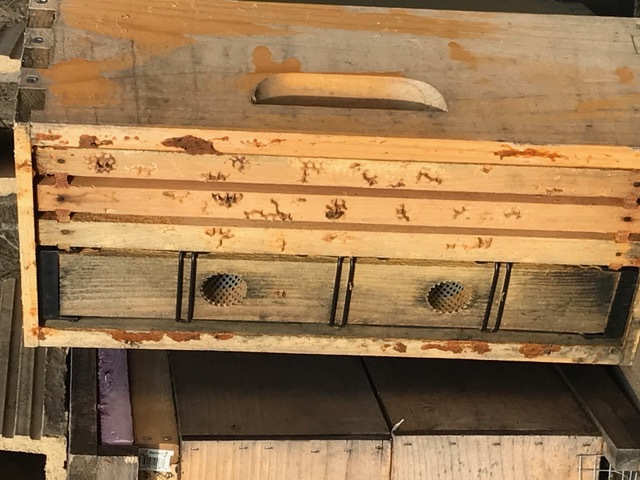 So not only is beekeeping a part of the entrepreneurship lessons, but candle making demonstrations in the Summer Cottage also will connect the wax with hives and bees. Interpreters in the gardens of Hale Farm also will mention the importance of bees as pollinators of plants. Urban Honey Bee has been a friend to Hale Farm & Village over several seasons, speaking on the business of beekeeping and how to start an apiary at special events, including Sow & Grow and Harvest Festival. Last fall, Urban Honey Bee principals Laura Urban and Mike Conley asked Hale Farm & Village if they could become more involved in the museum’s vision through teaching about beekeeping on-site and keeping active hives at the farm. That led to Laura, Mike and Joe working together to develop this year’s beekeeping educational interpretation. And Hale Farm & Village now has two hives – with bees – behind the Goldsmith House in an area that’s not open to the public. Urban Honey Bee will also be very present at Hale Farm this summer, starting with the Sow & Grow Farm Festival in June, where they will teach a workshop on getting started in beekeeping. They will also hold a honey-tasting event in July and teach a “Is Beekeeping for You?” workshop in August. 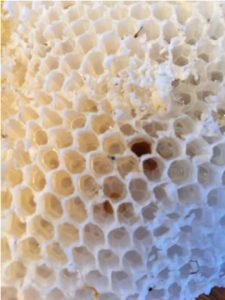 Starting in the fall and going through winter, Urban Honey Bee plans to teach beginning, intermediate, and advanced beekeeping classes at Hale Farm to whomever is interested in getting into the business. So if this latest buzz from Hale Farm has piqued your interest in the honey business, stay tuned to our website, Facebook, and Twitter pages for upcoming information on beekeeping talks and classes.